I usually leave the tech stuff to other bloggers, but things like Windows 7 are so important to Third Wave practitioners. Besides, the raunchy and political incorrectness of Family Guy aside, these spots are funny. Jerry Seinfeld was paid $10 million for two spots for Microsoft, which were so weird they made no sense. The new spots are well done and I think make the point. And, unlike many of my brethren, I like a lot of Microsoft's products. I did not care for the TV show Seinfeld, and so maybe I just do not care about commercials that are about nothing. Microsoft pays Seinfeld $10 million dollars to participate in $300 million dollars worth of ads to make Microsoft hip (kind of like Apple). But, I tend to think there is a big difference in being viewed as hip and just plain idiotic. Who wants to buy hardware and software from a company that comes across in this commercial as just plain retarded? It is not cool to be stupid. Besides, Microsoft will always have problems being seen as the new, sleek, uber cool tech for the simple reason that, unlike Apple, Microsoft does not control the end product produced with its software, as does Apple. That has great benefit and a few drawbacks. One of the drawbacks is that you are going to rely on third parties and lazy non-techies, like me, to pull the pieces together. I guess the TV spot goes some distance to humanize Bill Gates, but I would think that he is better served allowing his actions through the Gates Foundation do that. View the first spot for yourself. It aired during the recent Giants and Redskins game. Google co-founder Sergey Brin said Chrome was designed to address the shift to using software from within a Web browser rather than as locally installed computer applications running inside Microsoft Windows or some other operating system. "I think operating systems are kind of an old way to think of the world," Brin told a group of reporters after the news conference at Google's Mountain View, California headquarters. "They have become kind of bulky, they have to do lots and lots of different (legacy) things." Now maybe it is my age, I am not sure, but I tend of think of old ways to think of the world in terms of the cold war, not the 1990s, but I think I get the point. The World is changing to cloud computing and Google is on top of it, where Microsoft is not. I would love to see what Chrom has to offer, but I have been unable to get it to load on my system. I just keep getting "Error 4". So, for the time being I am just stuck with my poor antiquated Firefox. It is pronounced "cool", and it is the new Internet search engine of Anna Patterson. Her last Internet search engine was so impressive that industry leader Google bought the technology in 2004 to upgrade its own system. She now thinks she has invented an even better search engine with Cuil. She claims its search index spans 120 billion Web pages, more than Google. Google disagrees. I am not so sure about cruil. I got online this morning and typed in my specialty, automatic stay violation, and at first it came up blank. I changed it around some and it did find a number of sources, but the time it took to load pages, OMG. It might grow on me I guess, but I do not like the dark intro screen (it looks more like Google's evil twin); I do not like the logo. I do not like the layout; it certainly did not list my blog or any post within the first 6 pages I looked at and I am the most prolific writing on the subject online in the country; and in the end it did not seem to this simpleton that it offered anything more than my favorite brand - Google. Cuil is a name that is suppose to come from the Irish background of one of its founders. That is good enough, but then why all of the black, gray and blue. Hell, throw up some green, or a shamrock or two. Maybe they should have named it "Cruil" and in cruel. But, then, again, what do I know. By the way, I could not find where Cruil had a blog to announce anything. I have looked at the launching of a lot of products and services of late and they all seem to start off with a blog. Not here. Not that I could find. Look, I understand the argument that the site just launched and it will add things like blogs searches, blog readers and the like. But for some things, this is almost like going to a new hamburger joint on the opening day only to have them tell you that they will be adding hamburger patties later after they get more established. The problem with the magazine like approach is that I want to scan quickly through results. I do not want to read a magazine. Google makes the actual task I am looking for easier and, hence, more enjoyable. Cuil is also hoping to attract traffic by promising not to retain information about its users' search histories or surfing patterns. This is something that Google does, much to the consternation of privacy watchdogs, and in this Cuil might be onto something. 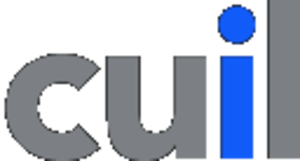 Cuil is just the latest in a long line of Google challengers, including startups like Teoma (whose technology became the backbone of Ask.com), Vivisimo, Snap, Mahalo and, most recently, Powerset, which was acquired by Microsoft. Each of these startups has a much better design or interface than does the Darth Vader quality of the Cuil site. Google has become so synonymous with Internet search that it may no longer matter how good Cuil or any other challenger is, said Gartner Inc. analyst Allen Weiner. "Search has become as much about branding as anything else," Weiner said. "I doubt (Cuil) will be keeping anyone at Google awake at night." If you cannot build it, buy it. If you cannot get your first choice, move on to your second choice. In this regard, Microsoft did not manage to snag Yahoo to launch its revival into Web 2.0 or to compete effectively with Google. So, according to Silicon Alley Insider, Microsoft has purchased PowerSet.Com, a semantic search engine startup. We as Third Wave lawyers have entered into the Google era. Microsoft is going to have to catch on, catch up, and get rid of its more industrial model in order to get on top of this movement. In short, it is going to have to stop its practice of being so mafioso and predatory, and move outside of the box (literally) in which its increasingly complicated and expensive software comes. I am not sure that buying Yahoo would have helped much in this regard, but what do I really know. What I think I do know is that competition is not all bad. Google has introduced lawyers, and everybody, to the "power of free" and cloud computing. They are wiring some cities with FREE WiFi. How does this pan out in the long run? That is anybody's guess, but to date it has not been a bad things for lawyers who are trying to compete in this less structured world. If active competition brings more free and easily obtained information and software and communications to attorneys, and to force those who would rather restrict or charge for such things, then that is good. Semantic search, or "natural language" search, is supposed to divine searchers' intentions more accurately than today's standard offerings, which means Google, and this would have obvious benefits for whoever figures it out. Some are skeptical as to whether semantic search would be significantly better Google, but if the threat makes Google try even harder that would be just fantastic with me. Below is a video about PowerSet. I normally leave tech to Rick Georges over at Future Lawyer. But, if anything, the Third Wave is about ease and portability. It is about being to operate with a the smallest footprint possible in the legal world. It is also about being connected. PDAs and smart phones just do not hack it for me in this regard. First, they do not have the overall functionality I need to run my office cheaply and on the fly. Besides, with age my vision is not as good as it once was. Second, they are expensive to operate. I am all about cheap and I hate cell phone bills coming in in the hundreds of dollars a month. That is also the reason I have been unimpressed with the MacBook Air. I am not into novelty and design as an excuse to take money out of my pocket. That ended with me when I bought a Pet Rock in the 70s. Apple is all about being the end thing, and some lawyers like that. It is pretty. It is cool. (The company is threatening to sue New York City -- "The Big Apple" -- for using green apple with a leaf as its logo in its green campaign)!! And, these lawyers are willing to burden their practices with the costs of apple products (both as to purchase price and in operating it in this Windows environment in which lawyers must too often compete). Sure, a Mac can run both its own OS and Windows, but I do not need the "in thing" just to surf the web, to pay three grand for the machine only to have to also spend large sums to put windows on the machine, as well as all of the relevant software. What I have come to find out is that if you are playing with Macs in a law office environment, you are burning through money. And, for what? For a little glitz, for a little glamor, and for a little feel good. Sure, Mac is kind of in front of the cycle on innovation and design, but you are paying a premium for what -- a year's jump on everybody else. Besides, Apple will just redesign it in a year and then make lead you to buy the new "in" machine you just have to really really have. 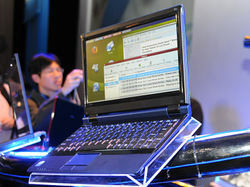 In this regard, I was gad to read about the Ultrathin Intel Atom-bsed Netbook which was shown at the Intel Developer Forum in Shanghai. 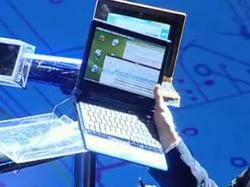 Beyond a tool for a school child, and beyond the laptop for everyone, this could be the poor lawyer's MacBook Air. Sure it is not as well endowed as a full-fledged notebook, but it is also likely to cost somewhere closer to $300.00 instead of $3,000.00. It can act like a supplement to your PC and do enough things to operate your practice effectively on the fly. Let's face it. as we move into a more browser-based world, I do not need a unltrathin that can land a 747. I need to be able to check my browser-based extranet, merge my collected information into a pleading, upload the pleading to the federal court, and then notify my client and other parties by email that this has been accomplished. Here is too a cheap unltrathin! Yahoo! rejects Microsoft's $44.6 billion takeover bid, stating that it undervalues the company. The question now is whether or not Microsoft will go over the heads of Yahoo's management, and take its $31 per share offer directly to the shareholders. This would require Microsoft to first try to oust Yahoo! 's 10-member board. It could also try to sweeten the offer. Analysts believe that Microsoft is willing to offer $35 per share. Yahoo! 's downturn erased $20 billion in shareholder wealth. Microsoft has already offered Yahoo a 62% premium above it's stock price at the time of $19.18 per share. Microsoft had previously bid $40 per share to buy Yahoo! a year ago but was told no thank you. Some think that Yahoo! wants to get the old bid back before agreeing to sell. Microsoft's shareholders already do not like this deal. It's share price has declined 12% just on the basis of the original offer. My thought is that this deal is not good for Third Wave attorneys. 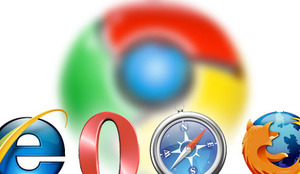 Microsoft and Yahoo!, and Google against which both are competing, represent different models. Microsoft has a restrictive, exclusive and expensive model that places the cost of tech on the user. Google, and to a lesser extent Yahoo!, has a better model based on an open, inclusive and FREE services and software model that places the cost of services on advertisers. The Google model is directly responsible for driving down the cost and effectiveness of Third Wave offices.